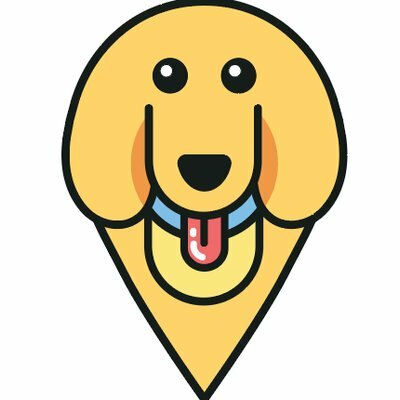 Dog Friendly Offices from Kitchener to Toronto – furevery – A powerful new app furevery dog parent, furevery dog and furevery dog business. We connect hands with paws. Corporate culture is a big selling point these days, and job candidates factor corporate culture into their career decisions. There are many of elements that factor into creating an attractive company culture; the people, the flexible working hours, the atmosphere, the leadership, the location, the social events and added perks, like dog-friendly offices! Companies are learning that investing in corporate culture has huge benefits, like better performance, better company morale and passionate employees. Happiness means more productivity. Culture can also be used as a recruiting tool to attract and retain talent. So today we’re putting the spotlight on one of our favourite corporate culture perks… DOG FRIENDLY OFFICES!! We believe that dog friendly offices reduce stress, boost productivity, and boost morale. Dogs in the office help improve work-life balance, encourage collaboration between coworkers and ultimately lower stress! If you’re on the hunt for a job with dog-friendly offices, then take a peak below to discover the local organizations that promote a dog-friendly atmospheres! (or use this list to convince your current employer to go dog-friendly). D2L: A global leader in EdTech, D2L is the creator of Brightspace, the world’s first integrated learning platform. D2L is Headquartered in Kitchener, and welcomes a number of dogs to their office every day, which promotes a collaborative and connected environment for all! Fibernetics: Fibernetics is one of Canada’s fastest growing telecommunications companies whose rapid success has been leveraged by a marriage of established legacy systems with emerging Internet protocol based technologies. They are headquartered in Cambridge, and part of what makes them awesome is their dog friendly office! Softchoice: Softchoice is one of the largest IT solutions and managed services providers in North America! They are headquartered in Toronto and welcome dogs into their offices to make it an extension of their home and make employees happier! Eyereturn Marketing: Eyereturn improves the way brands connect with their customers online. They are headquartered in Toronto and offer a dog-friendly work spaces as a fun extra perk! Interactive Sports Technology Inc.: HD Golf™ delivers visually stunning, ON-DEMAND golf, with a level of realism incomparable to any competitive system. Interactive Sports Technology Inc. is headquartered in Vaughan and they promote a great work environment that is dog, plant and personal-space-friendly! Freshbooks: Freshbooks is the #1 accounting software in the cloud for self-employed professionals and their teams. Their global tech company operates out of Toronto and is proud to be dog friendly! Q4, Inc.: Q4 is a global leader in cloud-based investor relations and capital market solutions. They strive to maintain a culture that is collaborative, friendly and fun, which of course involves having dogs in the office! Mason Frank International: Mason Frank International is the global leader in Salesforce.com recruitment. They have offices in Toronto, and internationally, that are all doggie-friendly! Lighthouse Labs: Lighthouse Labs has reimagined the 8-week developer bootcamp. They teach people to learn to code in 8 weeks, and do it in a way that truly prepares students for amazing careers. Of course such a cool company has a dog-friendly office! The most important role for these dogs is to remind employees to not take themselves too seriously! Love it! There you have it, a list of organizations from Kitchener to Toronto that offer dog-friendly work spaces. These organizations have found a cute and inexpensive way to boost employee moral, reduce stress and encourage employees to collaborate and bond over dogs! We hope to see this list grow over the years! Did we miss any companies? Comment below if there are more dog-friendly organizations in Kitchener, Toronto or the in between!